The Louvre Museum has 8.5 million visitors per year. This blog was viewed about 270,000 times in 2014. If it were an exhibit at the Louvre Museum, it would take about 12 days for that many people to see it. 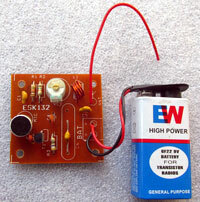 You can easily make a Burglar Alarm system using the PIR Sensor module. 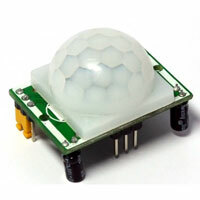 The PIR sensor module is readily available now and costs less than Rs.100. You can make the complete unit at the cost of less than Rs.200 but its use is worth. The PIR Sensor module has a circuit board with a timer. The timer circuit gives a time delay between 30 seconds to 3 minutes that can be adjusted using the present. It also has a sensitivity adjustment for adjusting the sensitivity from few centimeters to 10 meters. In some modules, an LDR is also provided for night time operation only. With this tiny FM transmitter , you can transmit your voice or audio to an FM Radio. Its range is 10-25 meters in the properly tuned condition. Sometimes when we open Facebook or Gmail, the page will not open and prompts as “SSL Error”. What is this SSL means? It is the “Secure Socket Layer” which is the security system used by browsers especially the Google Chrome for secure login. How this SSL error occurs? SSL works based on the Security certificates authenticated during the browser installation. The browser works only if the date and time of the computer is up-to-date. Sometimes the date and time may change automatically if the computer is shutdown incorrectly. Switch off through UPS, Power failure, Battery flat in Laptops etc causes this error. So what will do if the SSL error appears? How does the Computer keeps Calendar? As you know, even if the computer is shut down, it shows the date and time exactly when we boot it again. How this happens, even if the power is completely shut down? The magic is done by the CMOS (Complementary Metal Oxide Semi conductor) circuitry powered by a small 3 volt Lithium CMOS battery. The computer has three separate clock systems.